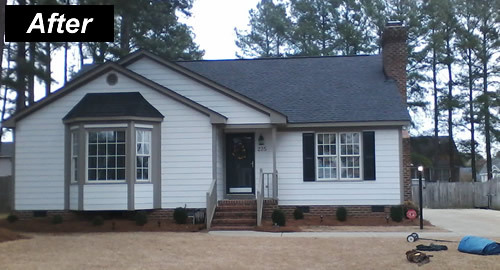 Carolina Roofing & Gutters is committed to providing high-quality asphalt shingle roofing in Zebulon. In addition we strive to give our customers old fashioned southern customer service. We want YOU to be 100% satisfied with your new roof. 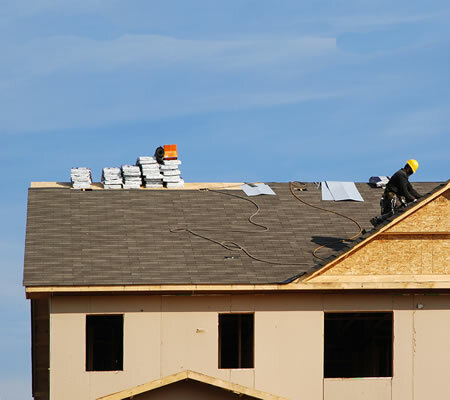 Asphalt shingles are by far the most common type of residential roofing material used in Zebulon. Most asphalt shingle roofs are supposed to last for 20 years, but some of these roofs simply do not last. Extreme temperature changes can age asphalt shingles faster: if your home is in a location where you commonly experience below freezing weather, then hot summers (over 90 degrees) your roof might age more quickly. 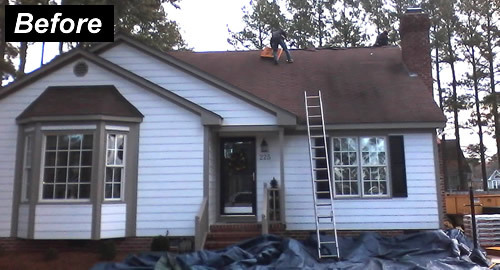 The most common cause of asphalt shingle damage in the Zebulon area is storm damage. When shingles get pounded with heavy rain and/or high winds (like during hurricane season) asphalt shingles really get tested. During these high rains and winds your roofing is more likely to get falling branches - the combination of all of these conditions can lead to asphalt shingle failure.